The festive season is in full swing and I couldn't resist dreaming up a sewing themed Christmas wish list. Whilst also dropping not-so subtle hints to my family. 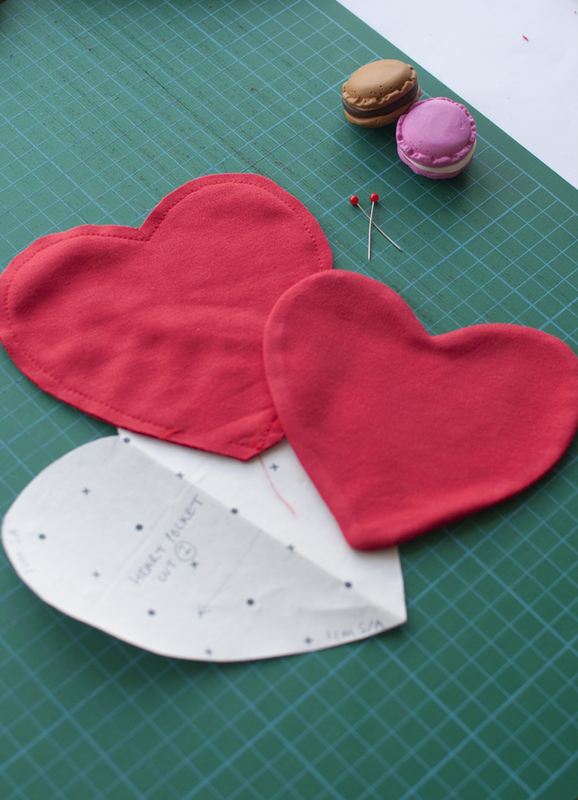 So make sure you point your gift getters in this direction too sewists, you're going to want these dreamy sewing goodies. You can see why I couldn't resist! 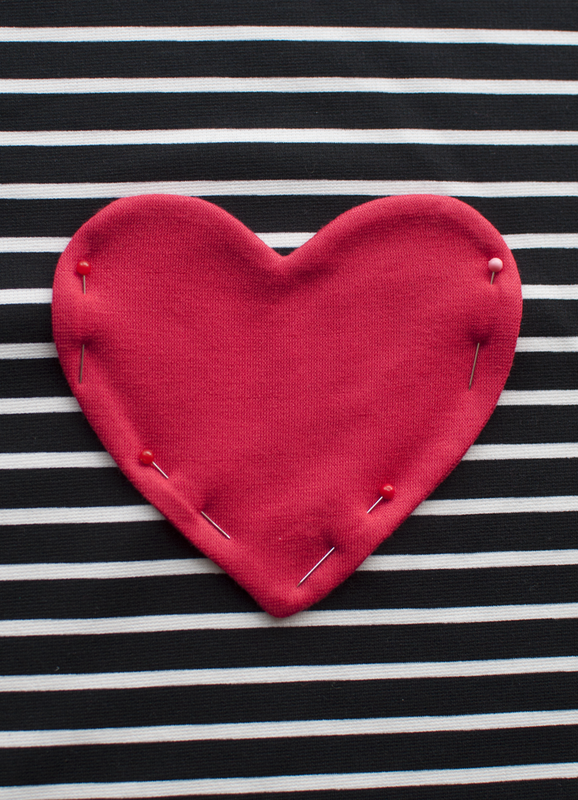 This Christmas's must have sewing accessory! 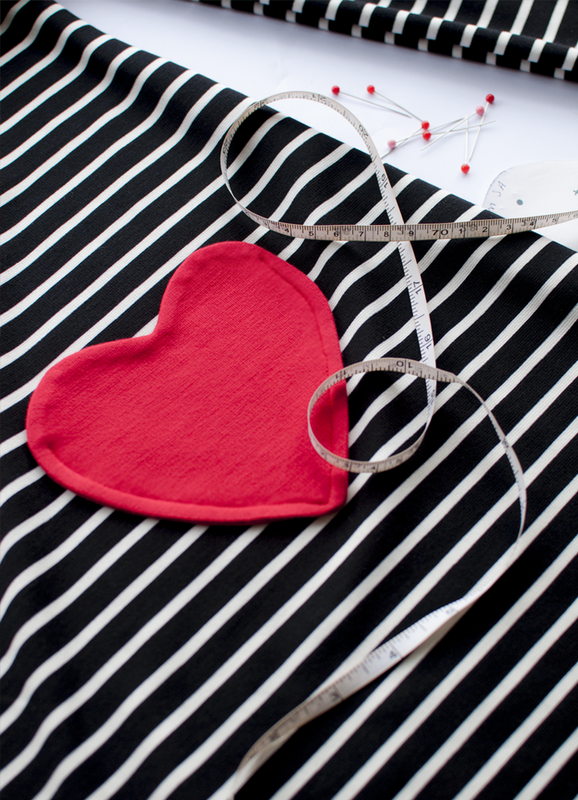 I'm so excited to share with you more goodies from my new fellow Shrewsbury sewing pal, Danni's adorable Etsy store. 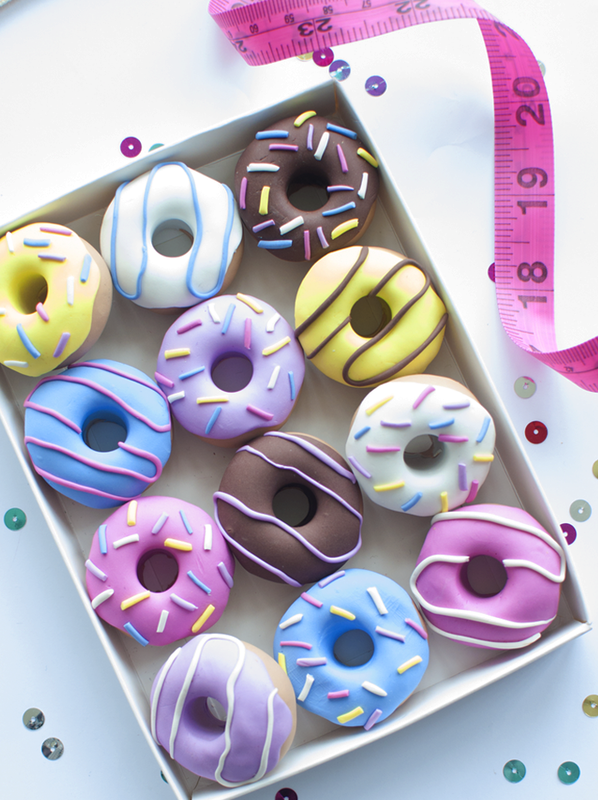 I recently reviewed her super sweet Macaron Pattern Weights and I was lucky enough to be gifted my own set of these doughnut weights too. Amazing right? But be quick, she's baking new batches nearly every day at the moment as these beauties are fast becoming a must have sewing gift for the festive season! Tilly and the Buttons also recently included them in her Christmas Gift email newsletter which I had to message Danni about immediately! 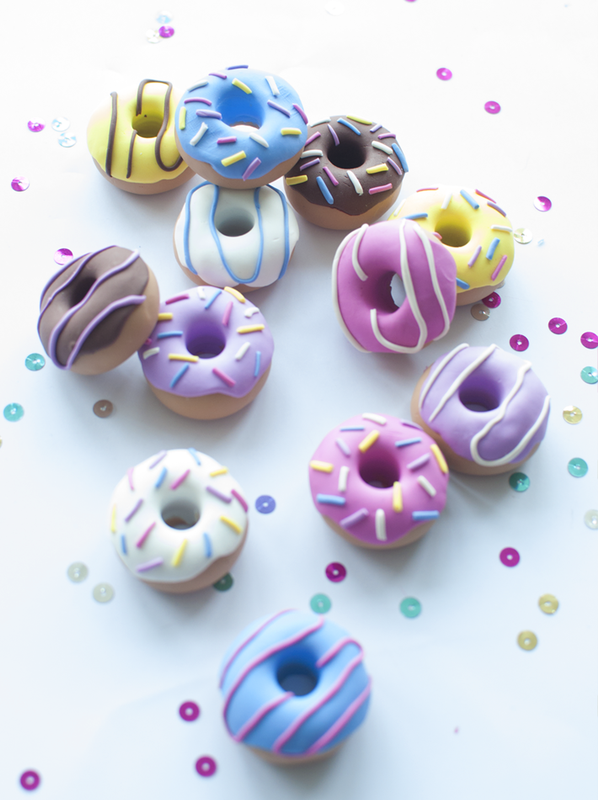 - please note Danni's waiting times as these doughnut are selling like CRAZY. But who doesn't love a gift for the New Year too? Definitely squealed in excitement for Danni when I saw Jade - finalist on The Sewing Bee grabbed a set! Beautiful scissor alert! 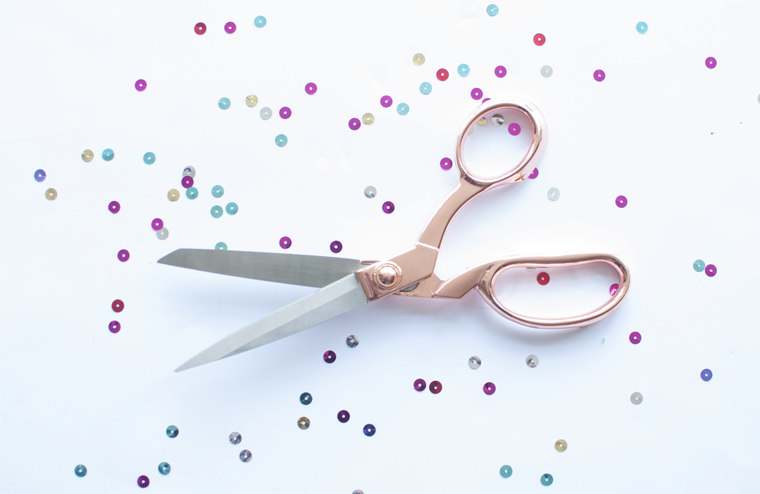 How stunning are these rose gold scissors? I'm such a sucker for beautiful sewing tools, not to mention the fact they make any Instagram photo look so good! You'll be spotting these in a lot of Instagram snaps in the future! Every sewist needs this tote bag to take fabric shopping with them! It's also a really generous size, just think of all the sewing goodies you could stash in there. 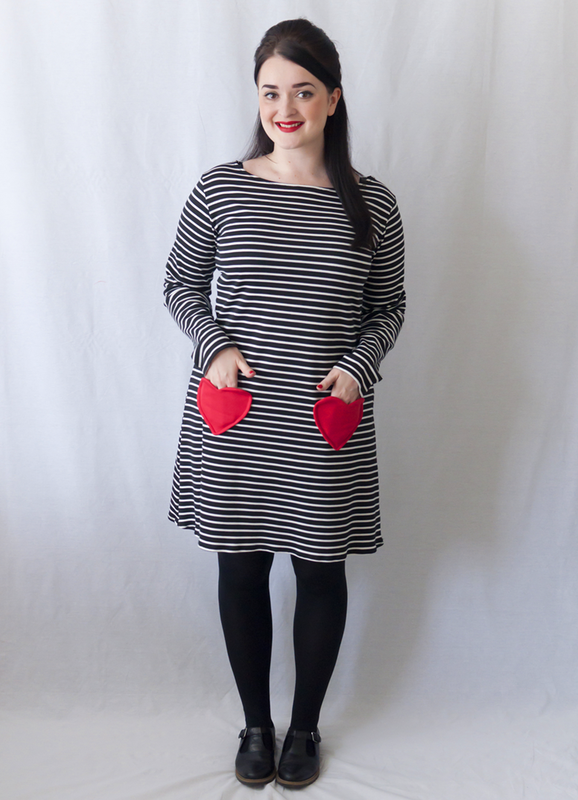 Along with this Autumn's seemingly most popular sewing pattern, Cleo! See my review of the pattern HERE. 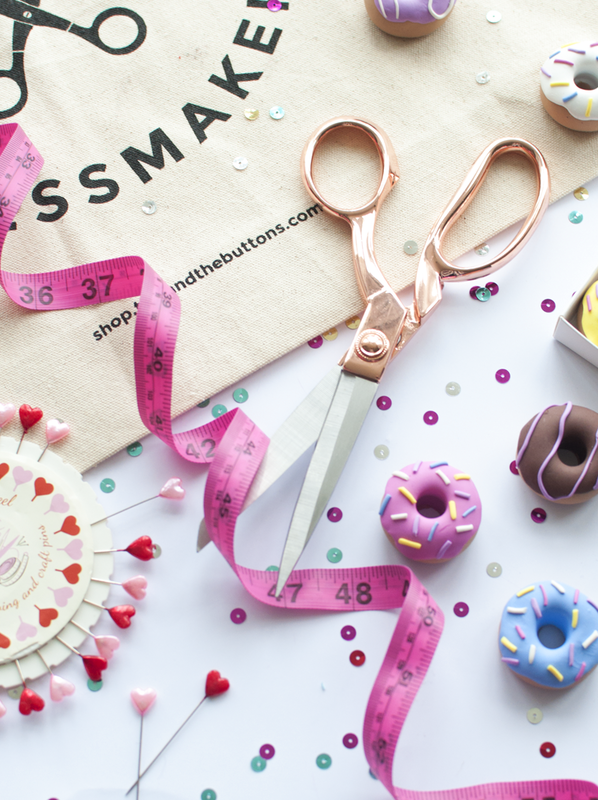 Tilly and the Buttons - the most lovely sewing gifts! 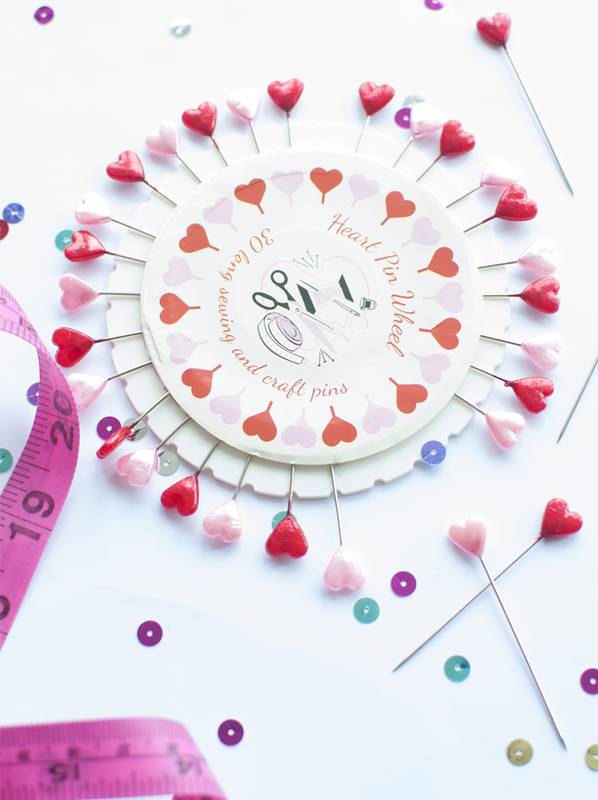 Every sewing box should be stocked with gorgeous but useful supplies and this vibrant tape measure and oh sew cute heart pins will brighten up any sewing space. 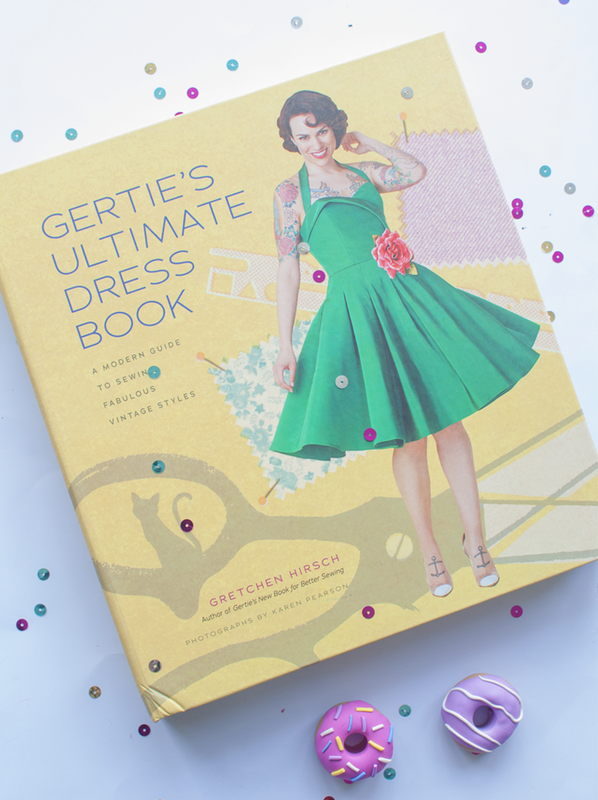 Gertie is my sewing dream girl. I got this book along with her vintage casuals book for my birthday back in May and they really are gorgeous books. The patterns are great and so interchangeable. I highly recommend them for all sewing abilities, especially the Ultimate Dress book - perfect for the party season! I'm yet to make anything, but have so many plans and not enough time! 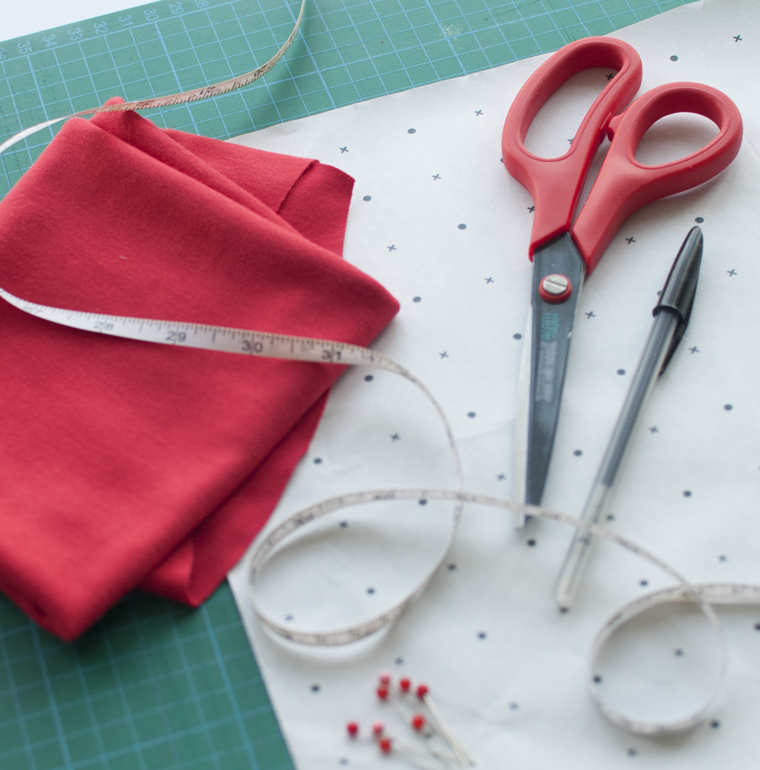 What's at the top of your sewing Christmas list? All prices correct at the time this post was published. I'm super excited to be part of the Minerva Craft Blogger Network! 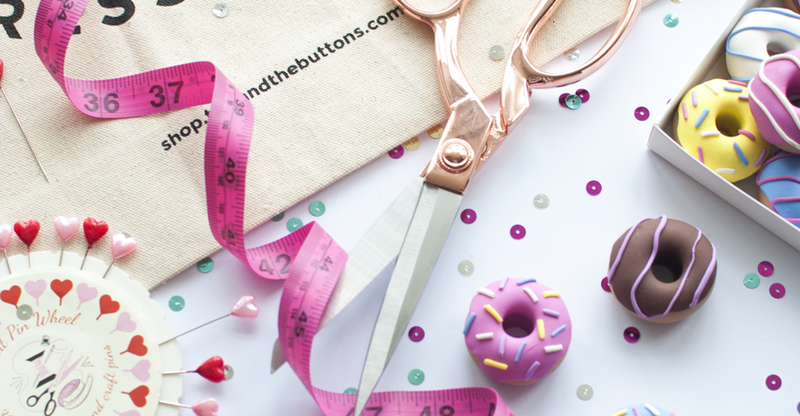 I recently shared my sewing plans for my first 3 months, check it out HERE to see what I'll be getting up to. Thanks so much to Minerva for having me on board, I had so much fun choosing my projects. My land-girl inspired Archer shirt! For my November, and first, Minerva make I chose the Archer Shirt by Grainline Studio, a pattern I've been eyeing up for quite some time. 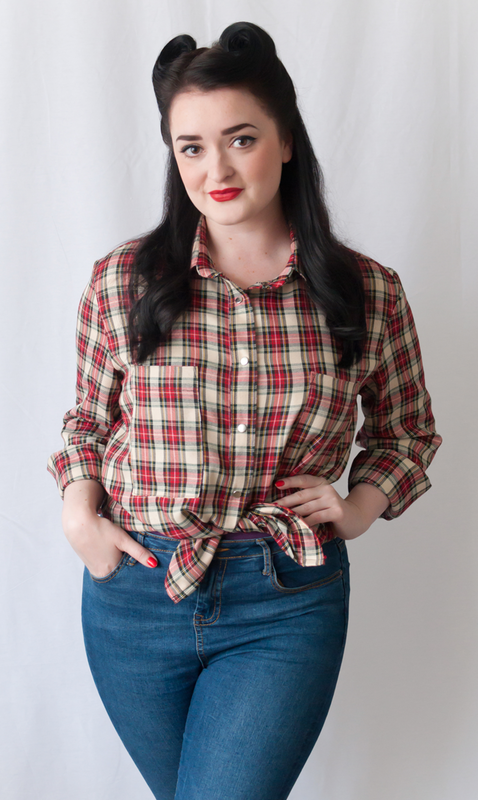 I wanted to create a vintage inspired land-girl shirt in a classic plaid fabric. Sewing time: I spent the best part of a day on this, with plenty of tea breaks and time to make sure my top-stitching was neat and pressing throughout for a crisp finish. Fit: Okay. Too big on the sleeves for sure, but I could definitely size down at least one size and down two sizes for a fitted shirt. Difficulty: Nice and simple. A great project for adventurous beginners to learn lots of new skills. Watch out for: Tidy top-stitching, pattern matching if applicable and getting the collar nice and neat. Make Again? : Yes! I'm sure this will become a wardrobe staple for me. 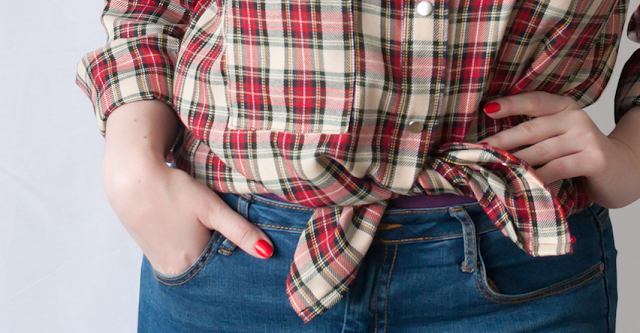 Plus Minerva Crafts have so many gorgeous colours in this plaid fabric, it's hard to resist making another version! I hope you like my first Minerva make! Okay, okay, I know. I do too many Tilly and the Buttons pattern reviews. But seriously, the designs, the packaging, the simple and clear instructions. I'm powerless to their charms and I'm not sorry. Sometimes a pattern comes along, very rarely, and you have to stop everything you're doing immediately and sew it up. The new Cleo dungaree dress was exactly that for me, but I also have no idea why! 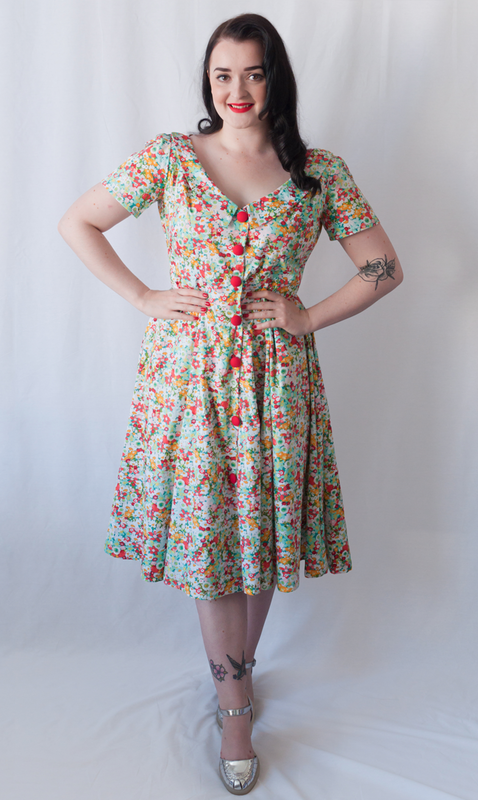 Firstly, it's not particularly vintage inspired and it's the last thing I would think would suit my body shape. But I had to have it! Whilst I love vintage styles, I'm definitely a lazy 60s style girl in the colder months and save the 1950s for Summer. And luckily a lot of Tilly's patterns lend themselves to a little 60s twist so they fit in to my wardrobe very nicely indeed! As I said before, I just had to stop everything I was doing and sew up a Cleo. I opted for a length between the long and mini options, the front slit, button fastening and with one larger bust pocket. 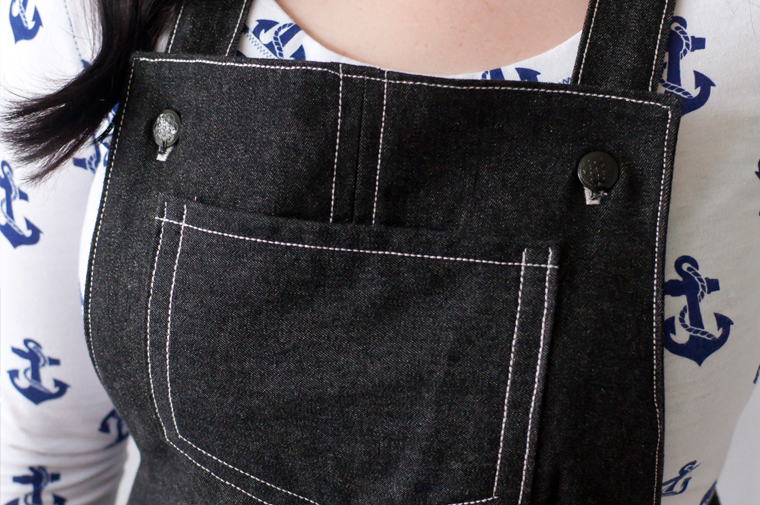 Luckily I had some black denim in my stash left over from a denim jacket I've been sewing with supplies from Sew Essential (on the blog soon!). 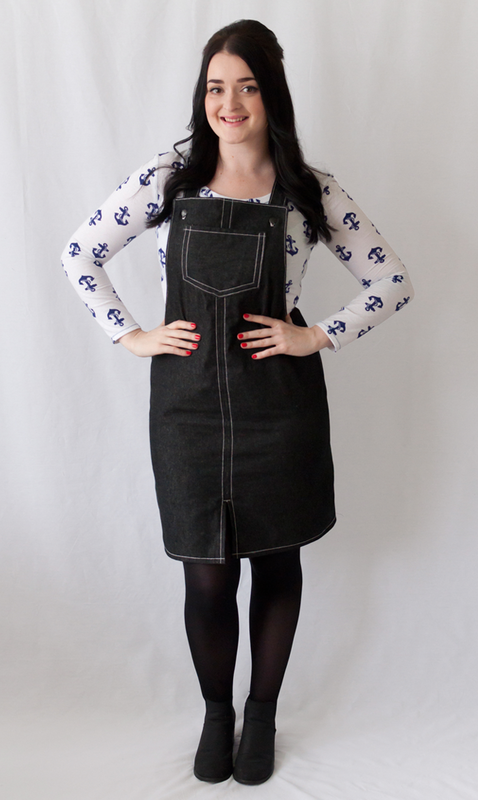 You can pick up the gorgeous medium weight denim I used HERE. I'm also going through a bit of a top-stitching phase, so instead of sticking with black thread for my dungarees, I decided to use baby pink. To make my top-stitching stand out and for an extra professional finish, I used a 3 stitch straight stitch (not sure if this stitch has an actual name but it's basically a regular straight stitch, but each stitch is made up of 3 rows of thread) for all my top-stitching on my new Janome Atelier 5 sewing machine from Weaver Dee (review also coming soon to the blog). I'm obsessed with the stitch and it's a great alternative to buying a top stitch weight thread. 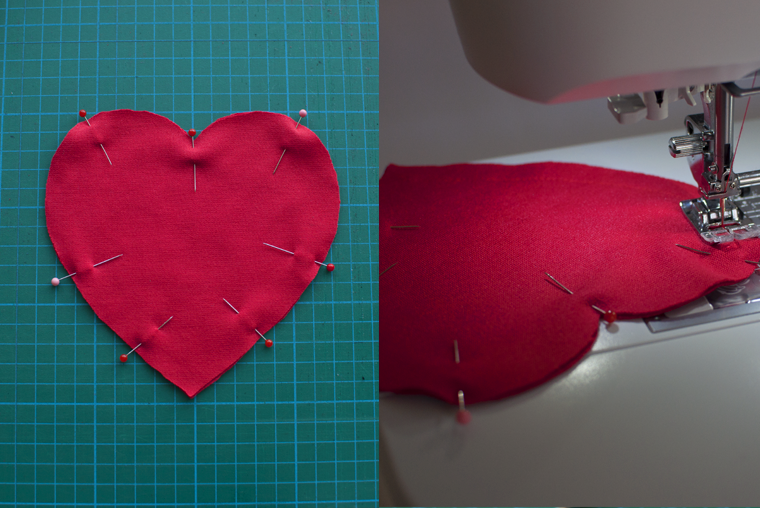 Cleo and Agnes, a match made in sewing heaven! 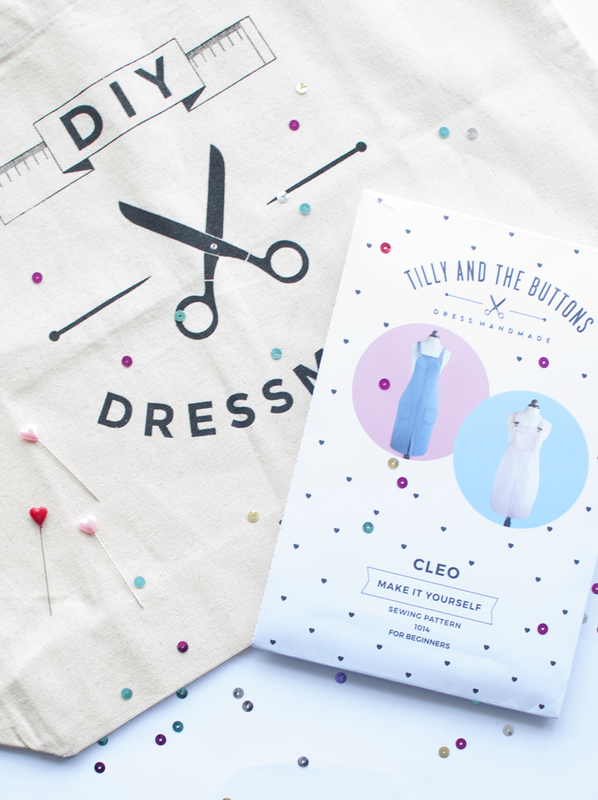 I found Cleo super simple and a total joy to sew. 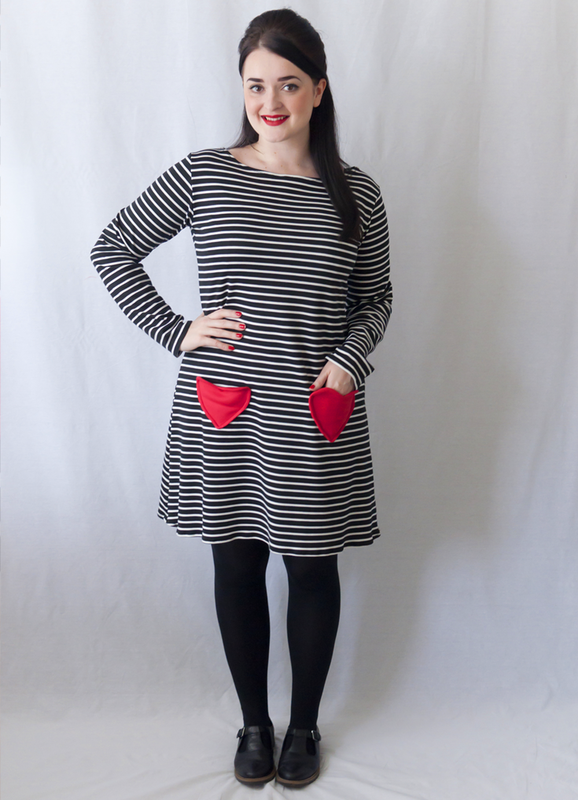 It's worth mentioning that there is a fault with the front facing of the pattern and if you purchased a pattern with this fault you should have received an email with instructions on how to amend it, or download a new pattern piece. When I spotted the fault, I thought it was something I had done and split the facing piece in half and created a centre seam. Which Tilly later instructed to fix the issue this way too. Otherwise, this pattern was quick, simple and looks super cute. 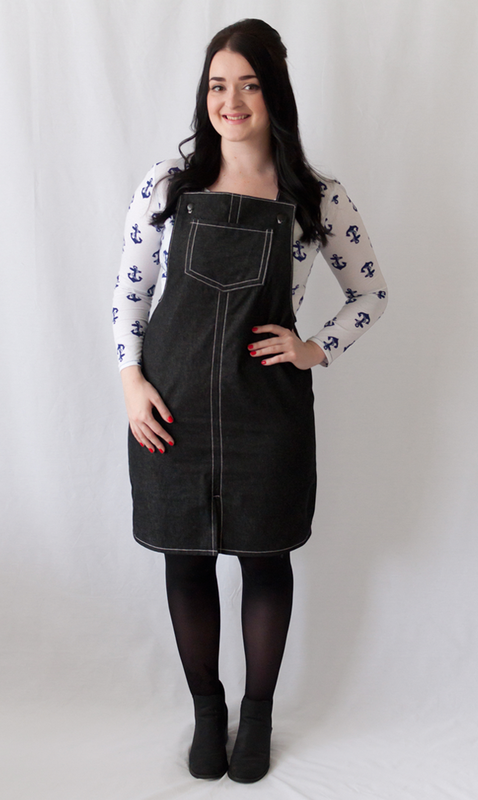 I wore my new Cleo dungaree dress with my Tilly and the Buttons Agnes top! 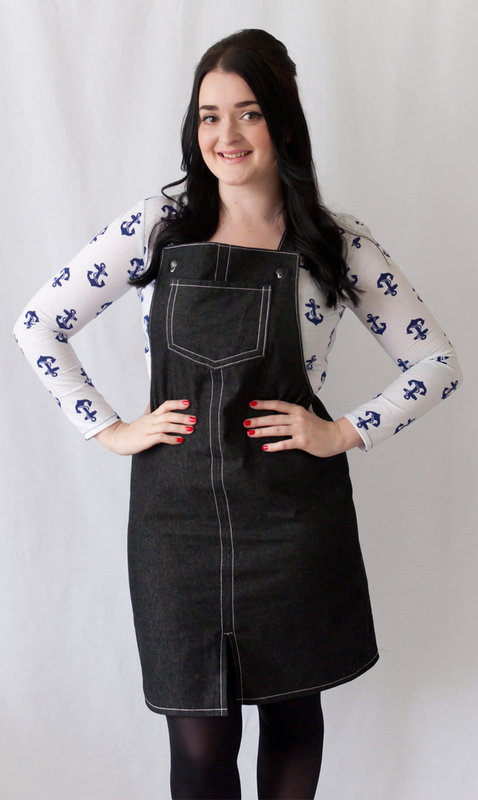 Made with fabulous nautical jersey from Girl Charlee. Check out the pattern review for my Agnes top HERE. It's such a great basic jersey top pattern to have in your stash. 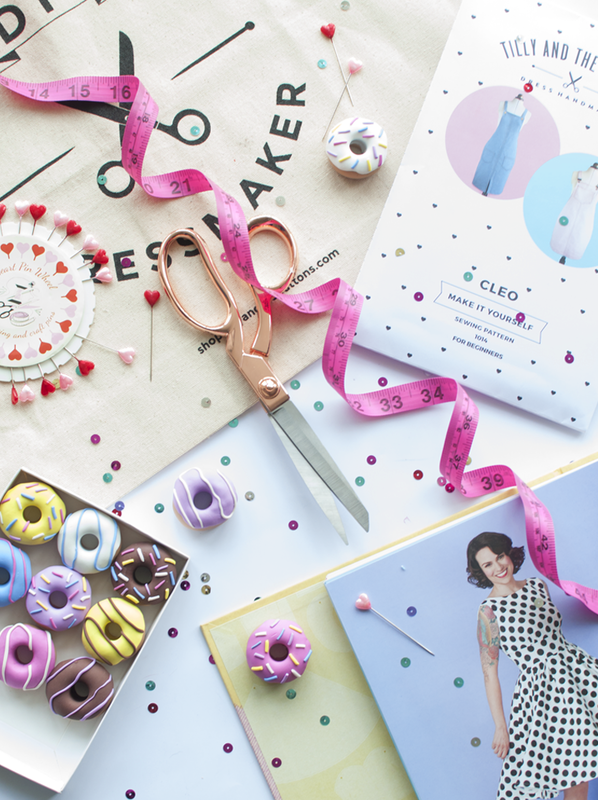 Will you be making Cleo? 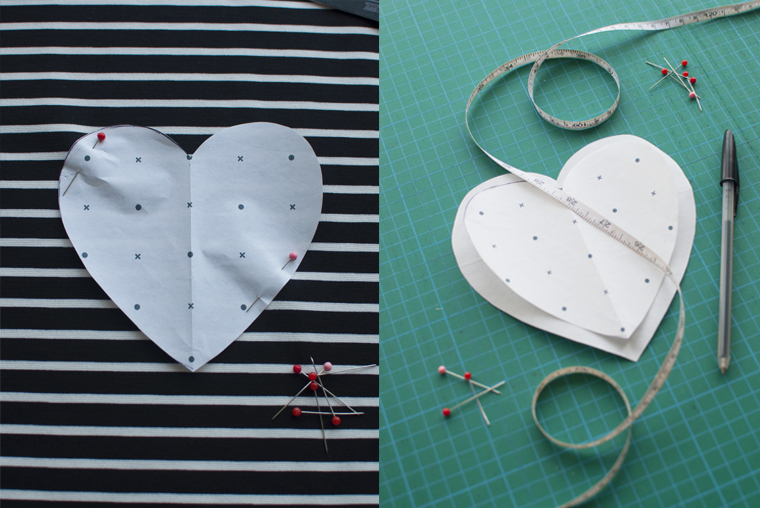 Sewing time: Half a day - need time to concentrate on that top stitching. Modifications: As above, the facing piece was printed faulty. I also opted for a hem half way between the two options. Fit: Good! It's a tighter fit on me that some I've seen online because of my figure. I think when I make it again, I'll add a little extra on the hips. But I like the tight fit with the denim fabric. 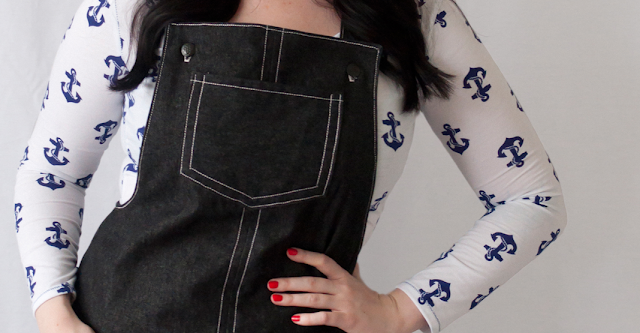 It makes these dungarees feel accidentally sassy! Difficulty: Easy-peasy! Beginners - get this pattern! 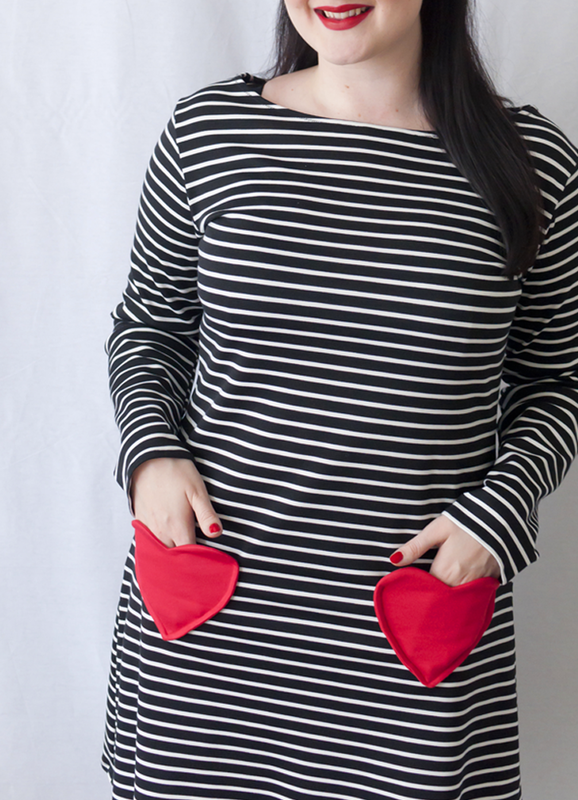 Watch out for: Tidy top-stitching takes extra care and making sure your pockets are central/even. Make Again? : Yes! I have lilac needle cord and dungaree clips waiting in the wings for my next one! 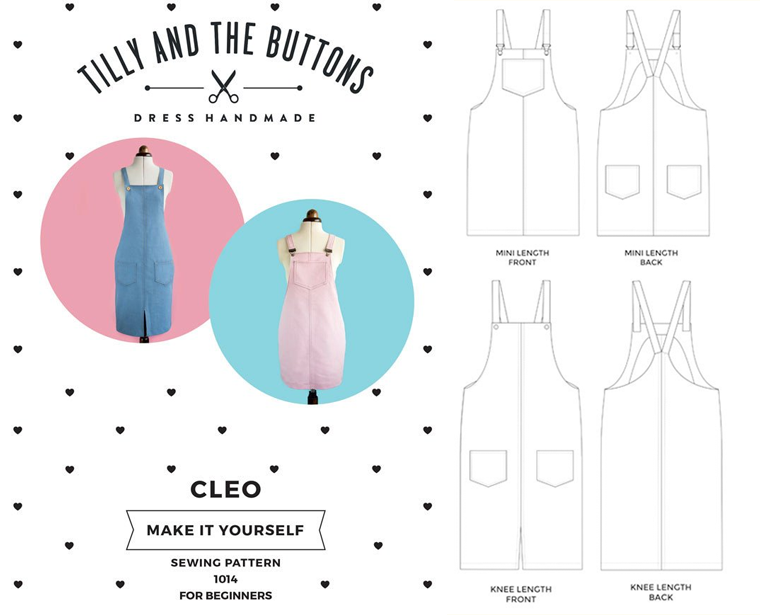 I see many more Cleo pinafores in my sewing horizon! Overall, I'm surprisingly happy with my Cleo dungarees! I didn't expect to like this pattern as much as I do or have it fit me as well. 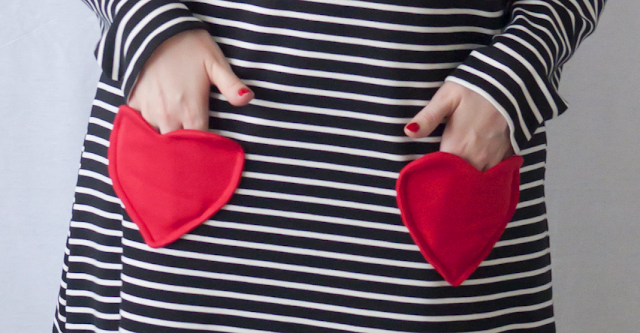 I can't wait to make more and would highly recommend it for all sewing abilities. The fabric was supplied to me free of charge by Girl Charlee & Sew Essential. All thoughts & opinions are my own. Vintage Vogue 2903 - Sew Style Vintage Bookazine Pattern Hack Feature! 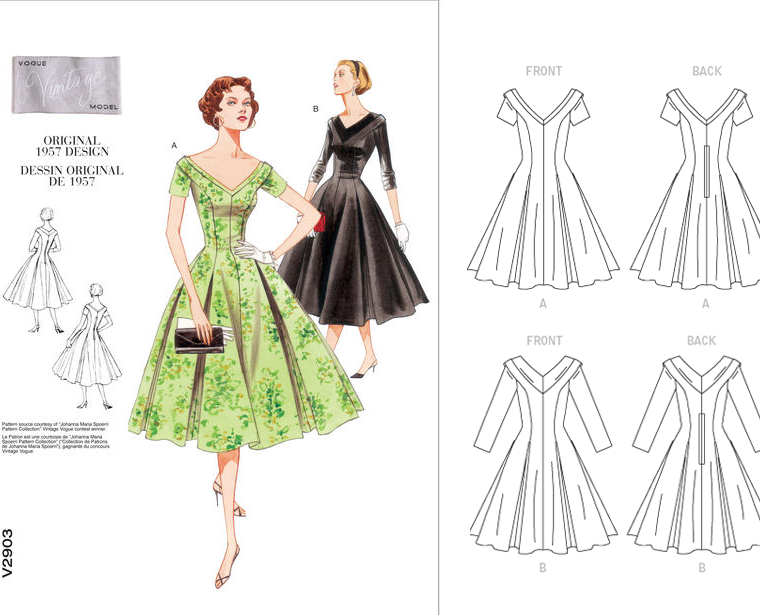 Vintage Vogue V2930 - Sew Style Vintage Bookazine Pattern Hack Feature! Something a little extra exciting today, which I've been dying to share for months! My first ever magazine feature! 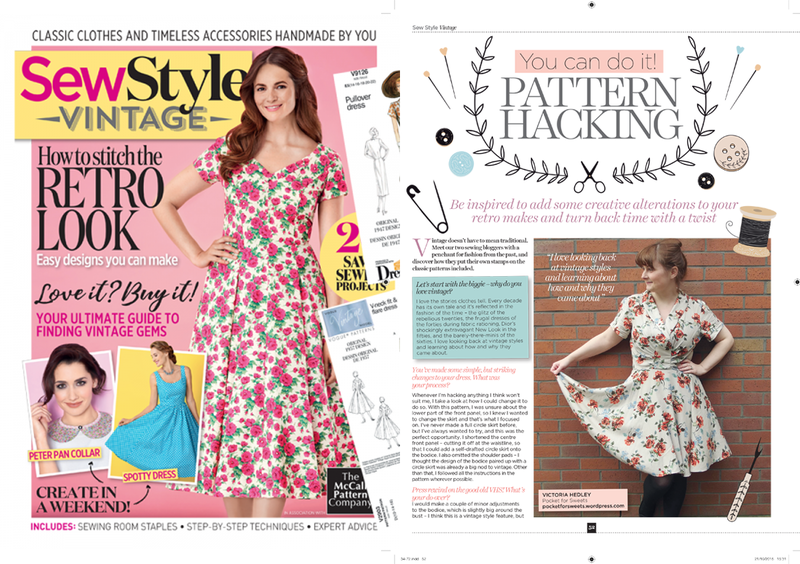 I was contacted to be part of a pattern hacking feature for Sew Style Vintage bookazine. A series of sewing bookazines by Sew Style, other titles include Fashion & Home, Quick & Easy and For Beginners. Each one is £9.99 but the price is totally justifiable as they are designed to keep, love and use over and over again plus there's FREE patterns! Available to buy HERE. So exciting to see myself! And how gorgeous is Victoria's dress too? "Welcome to Sew Style Vintage, your keepsake project book celebrating the joys of stitching the styles of bygone eras. Step back in time with us, taking a fashion journey from the 1920s right through to the 1980s, and discover a wealth of inspiration for stitching the glamour of old. Start tonight with one of the gorgeous Vogue® Patterns included in your pack, or turn to our project section for a collection of retro ideas. Add a touch of 1940s and 1950s style to your wardrobe with your two patterns. Within these pages you’ll find tips and tricks for stitching these as well as a whole host of fabric ideas. These are classic looks, but that doesn’t mean they can’t be worn with today’s trends, too, so turn to page 50 for all the styling inspiration you’ll need. Once you’ve read all about the history of the hat, had your 50s tea party, and consulted vintage bloggers for expert advice, there’s a collection of stitchy projects that embody all things retro – whip up some fifties flair with a Monte Carlo skirt, or wrap up in style with the tartan cape. The accessories you choose can complete your ensemble, so check out an effortlessly elegant fur stole, stylish denim bag and a very retro headband, too. Whether you’ve got a spare hour or a whole day to indulge your hobby, this handy tome will have you covered. 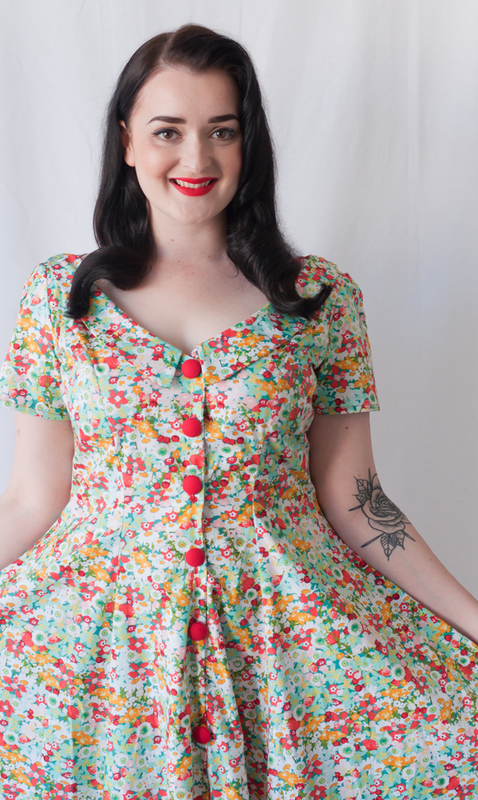 Grab some fabric, raid your stash and get stitching vintage lovelies to wear and wow." If this doesn't tempt you, I don't know what will! 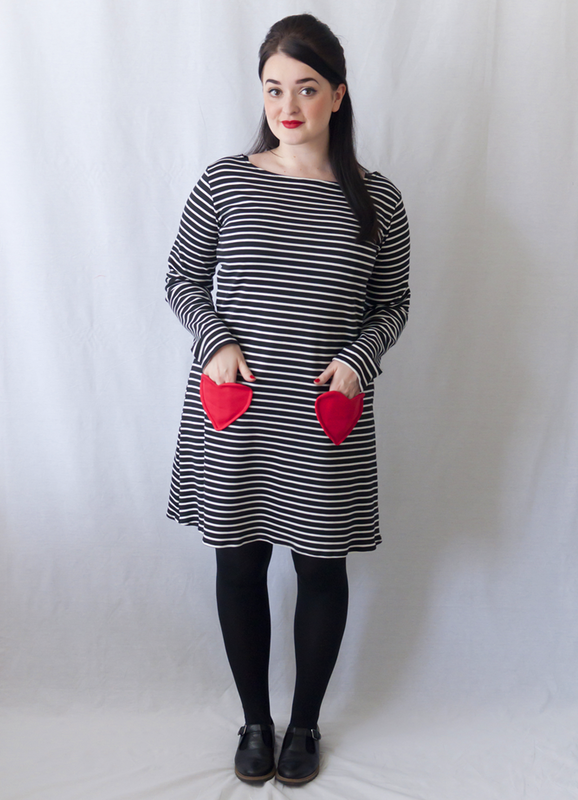 My finished pattern hacked Vogue 2903 dress! I'm not going to go into my pattern hack as that's all in the bookazine. But I was given the vintage Vogue 2903 dress pattern from 1957 along with the fabric and asked to hack it into something new! There was sooo much fabric in that skirt! 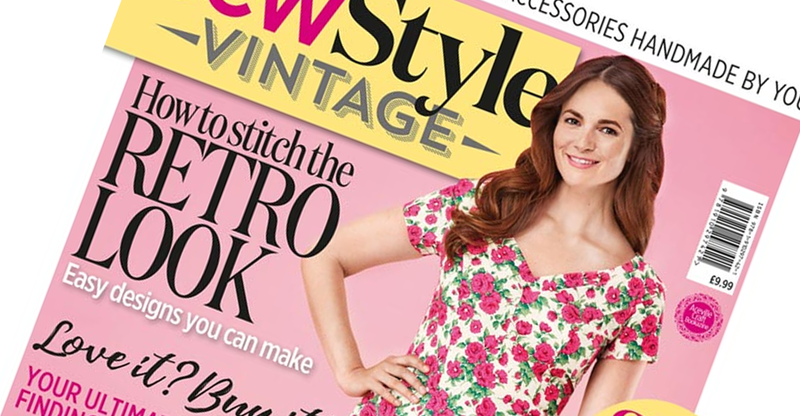 As I say in the magazine I chose to hack my dress using my favourite sewing skills (if you can call them that), shirt collars and button holes! 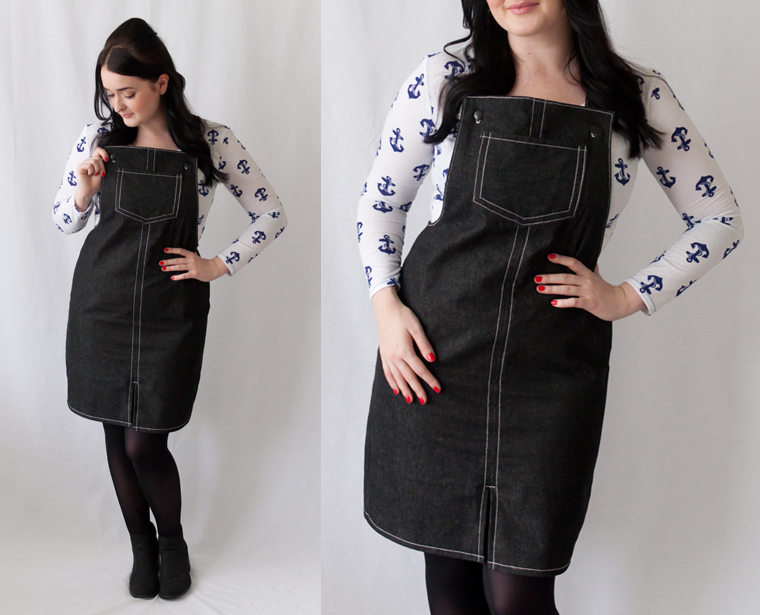 If you've been following my blog, you'll know I love a shirt dress. I'm pleased with the outcome and it will be a lovely addition to my Summer wardrobe. 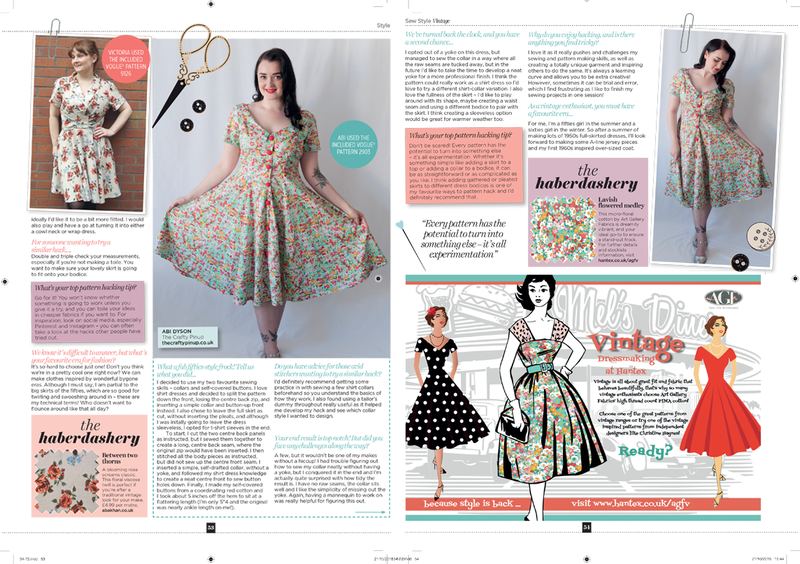 A huge 'thank you' to the team at Sew Style Vintage for asking me to be a part of this feature, it was so much fun! I can't wait to pick up a copy of this gorgeous retro sewing publication and get inspired by all the vintage sewing fun! Thank you for reading, pinups!